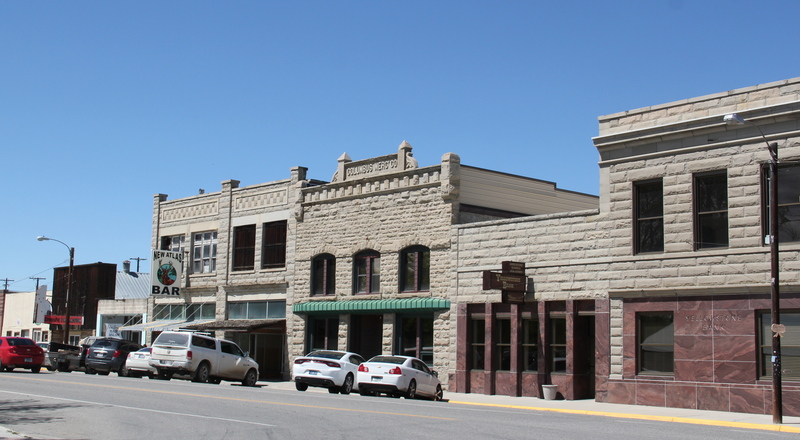 Columbus, the seat of Stillwater County, has long served as an architectural and settlement landmark in the Yellowstone Valley. Today when you drive down old U.S. highway 10 (Pike Street) next to the very active tracks of the Northern Pacific Railroad, two patterns stand out. 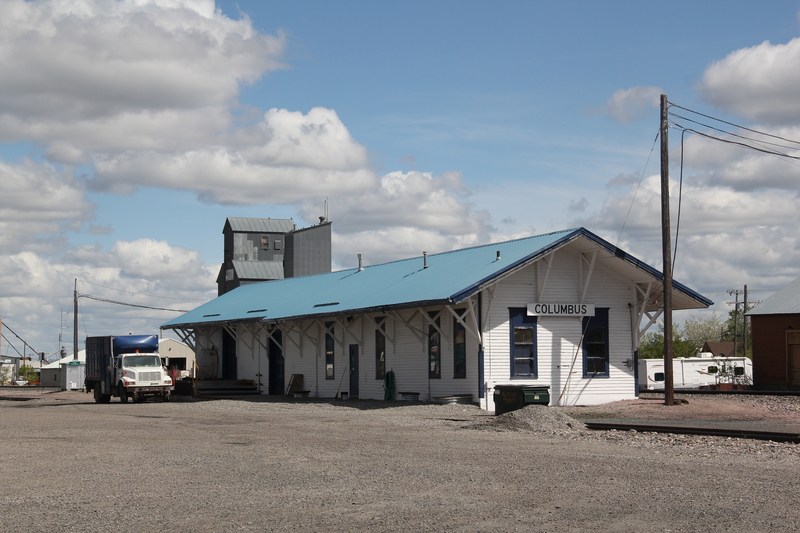 First, the town retains its historic depot and a well-defined railroad corridor–reminding everyone that here is one of the valley’s original railroad towns, from 1882-1883. In a state where so many small town depots have been lost in the last 30 years, I always stop in Columbus just to see if its depot remains. 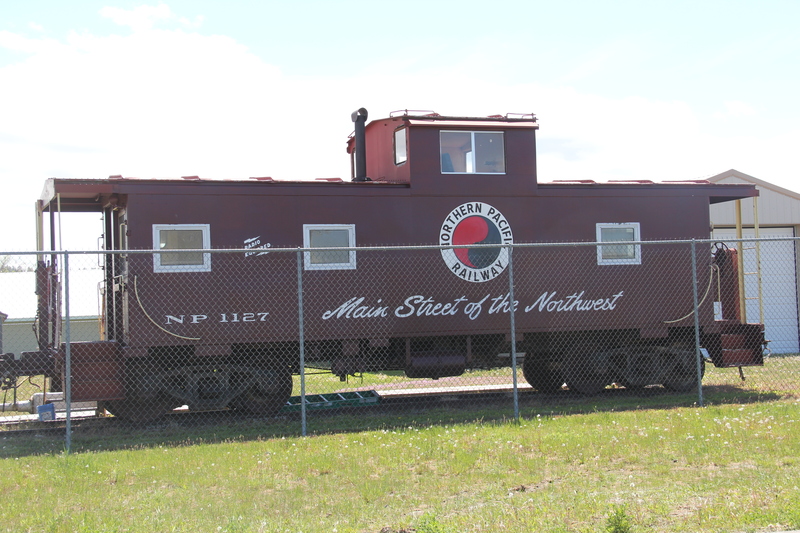 This historic NP caboose is part of the displays at the Stillwater County Museum, which sits in a new building near the schools in the north end of town. Depression of 1893, which had rocked towns all along the Northern Pacific line. But Colubmus recovered and rebuilt frame buildings in stone from c. 1900 to 1920 as the homesteading boom spread through the region. 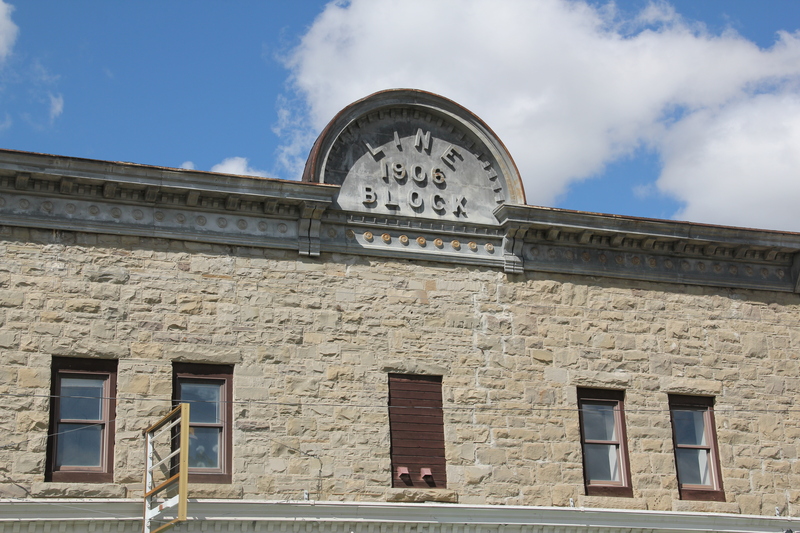 in Italy, the Montana Sandstone Company provided facing stone to numerous buildings in Butte, but it was the contract for the Montana State Capitol that put the company on the map and established Jacobs’ fame and fortune. 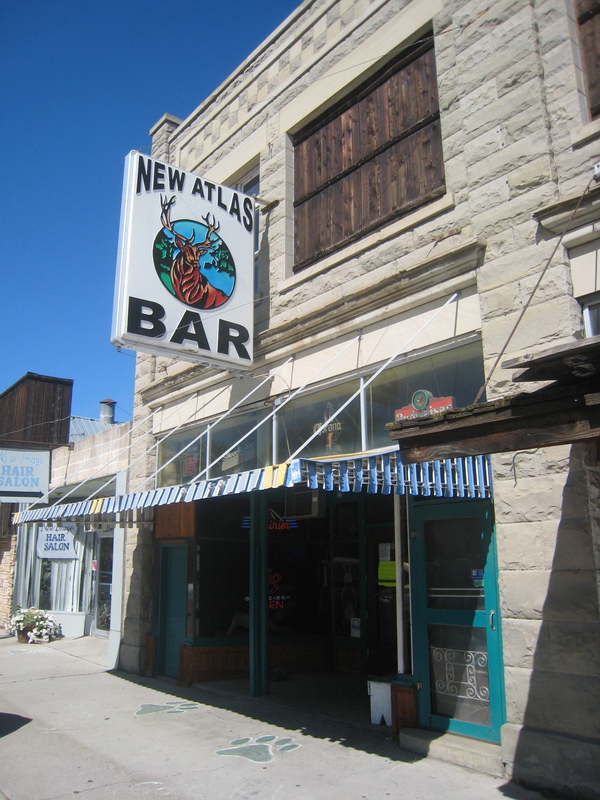 My favorite Jacobs building is the New Atlas Bar, which I first visited in 1982 and then made it tradition to introduce this special place to anyone traveling through the valley with me on fieldwork. 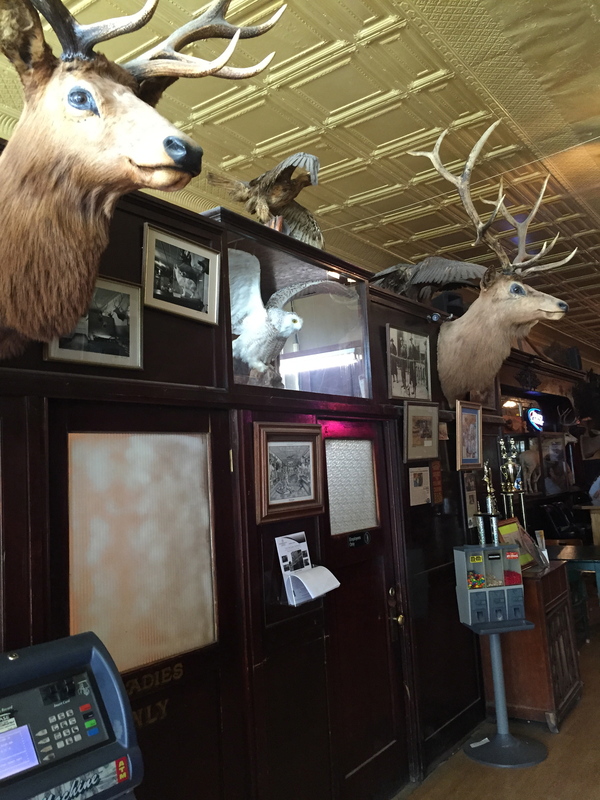 Listed in the National Register of Historic Places, the bar dates to 1915-1916, and was designed by Curtis Oehme. For almost all of the 20th century it was operated by the same family who opened it, the Mulvihill family. 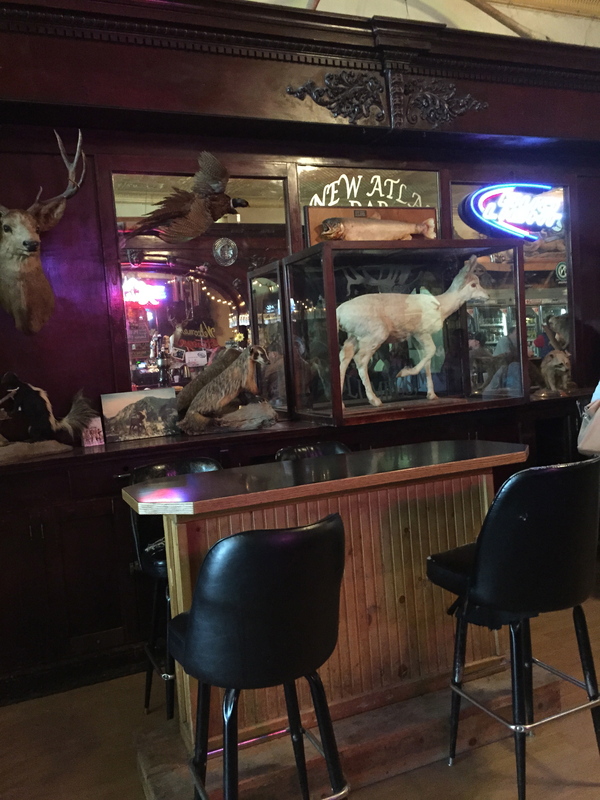 Known in the 1980s as the “See ‘Em Dead Zoo,” the historic interior features dozens of stuffed trophies, of all sorts of animals from the region. 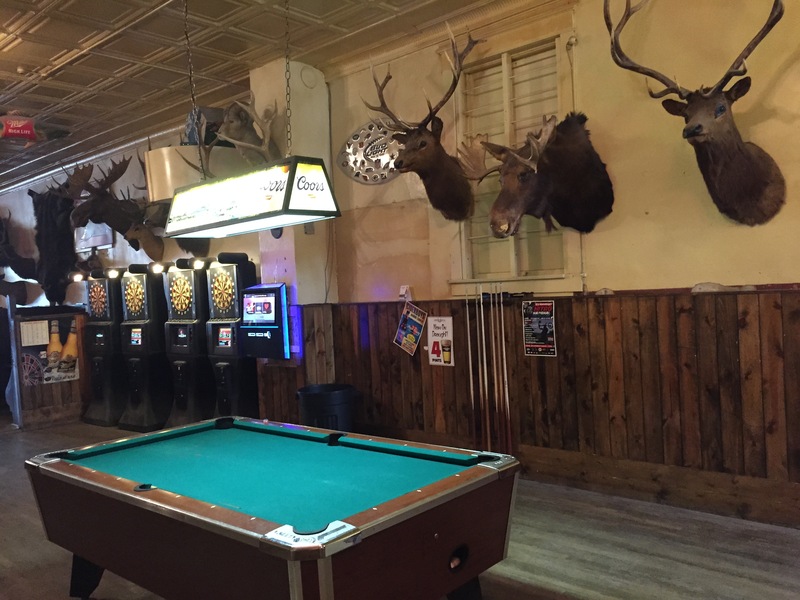 But its historic interior of back bars and ladies lounge is intact, and although the place doesn’t quite have the vibe of 20 years ago, it is still a community gathering spot along historic Pike Street. 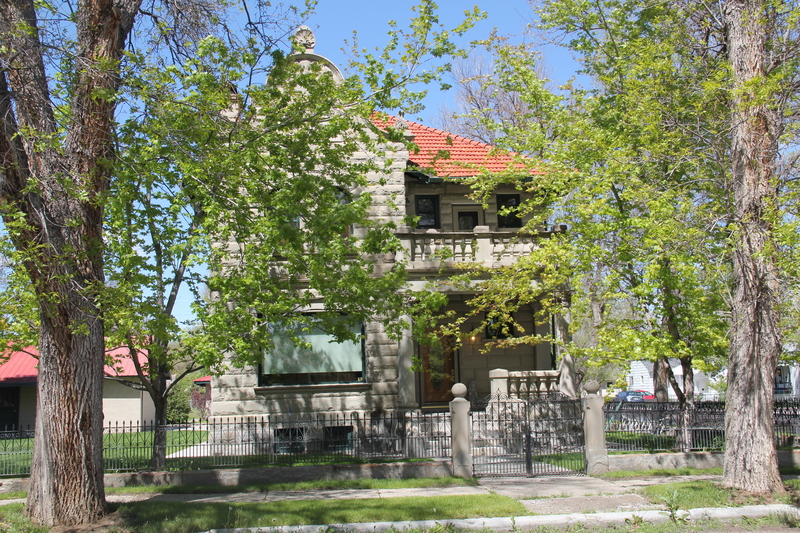 Michael Jacobs’ stately Victorian residence is another example of the firm’s craftsmanship as are a series of remarkable tombstones in the town’s Mountain View Cemetery. 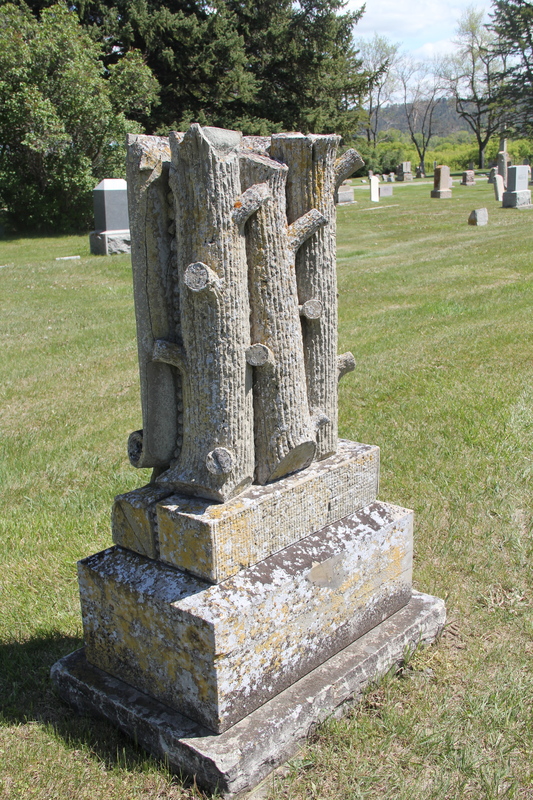 The carvers of these monuments are either Jacobs or another firm employee Pasqual Petosa. The county courthouse, however, is not of sandstone, but still it is an impressive Classical Revival statement in its porticoed Ionic entrance and symmetrical facade. 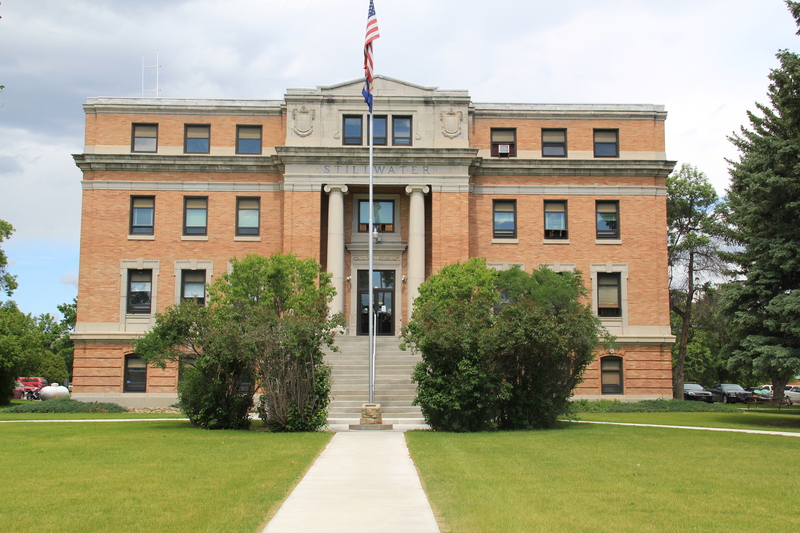 Located in the north end of town, the courthouse, designed by Warren Dedrick, remains an anchor for the county’s history during the homesteading boom. It first opened its doors in 1921. Unfortunately the courthouse faces an uncertain future. This year proposals have come forth to replace the building, or to modify it significantly with additions, due largely to the county’s population growth and need for greater public space in the last 15 years. 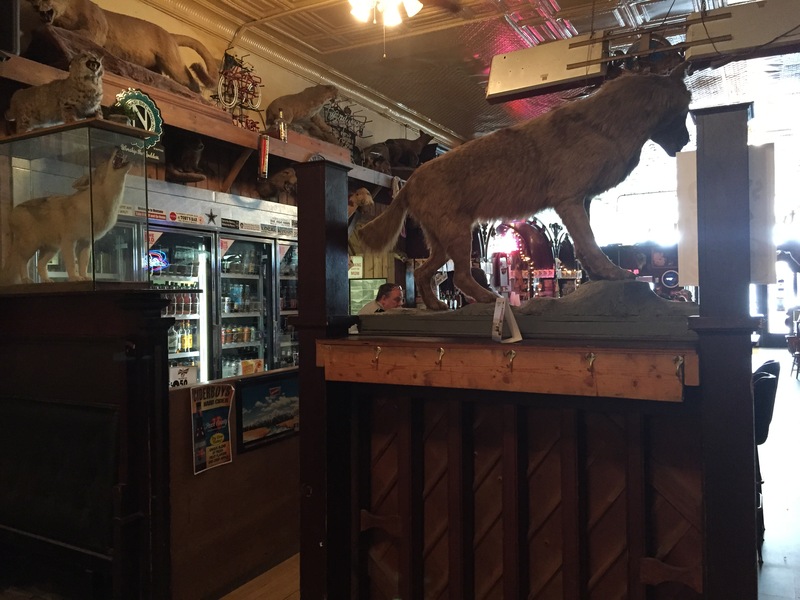 The local preservation commission called for discussions and full consideration before the town, and county, loses such a heritage asset as this striking historic landmark. 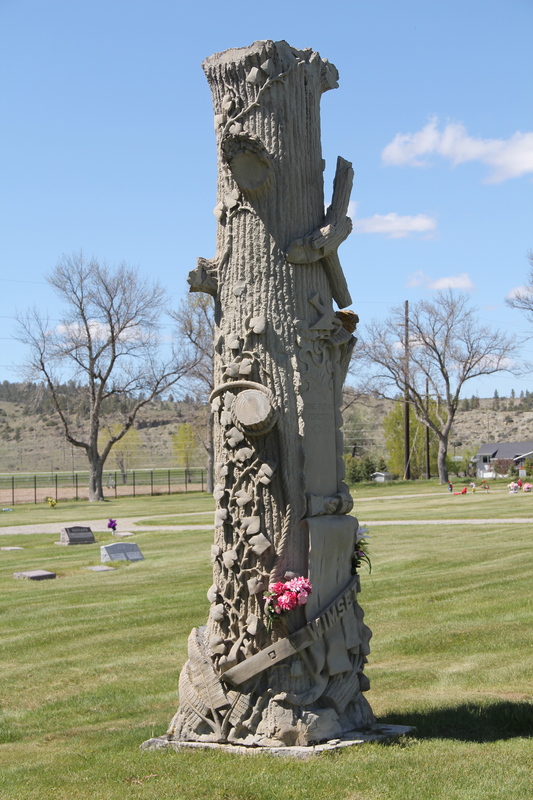 This entry was posted in Montana historical landscape and tagged Columbus Montana, Curtis Oehme, Michael Jacobs, Montana bars, Montana depots, Montana historic cemeteries, Montana museums, Montana Sandstone Company, mountain view cemetery, National Register of Historic Places, New Atlas Bar, Northern Pacific Railroad, Pasqual Petosa, Stillwater County Montana, Warren Dedrick by carrollvanwest. Bookmark the permalink.